The Proposal- The Beginning of the Fairy Tale! I am always looking for new ways that I can translate my 15 years of experience into something that is truly a need for people. I was talking to my best friend and he mentioned that there are not a lot of resources for the to-be grooms. This is a fact. Most times the groom has little to do with the wedding planning, usually to their delight, and the proposal is their opportunity to be a part of the memory. 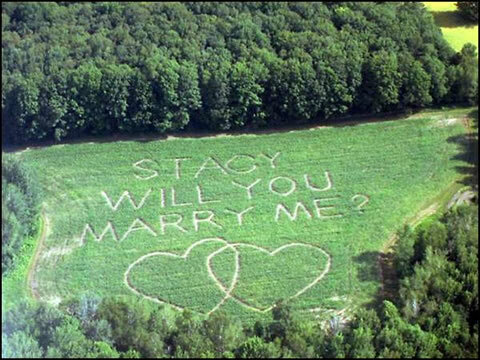 A lot of my friends tell me proposing was literally the most nerve wracking thing they had done. Its not that they were worried she would say no but rather the pressure involved in giving her a proposal that matches the dreams she has had of that moment since she was a little girl. Proposing can be scary and intense. Palms are sweaty, rehearsing what you will say and then ultimately trying to find the perfect way to express all the love that you have for your future bride. For some people that means something sweet and intimate and for others it is an over the top declaration of love for all to see and hear. Events by Phillipa can help! We will take the time to truly get to know you and your history as a couple, and help you come up with the perfect proposal setting. Then you can sit back and worry about what you will say and all the nerves that go with that, while we handle all of the logistics. Our fee is very reasonable and varies based on your vision and the amount of logistics involved. There is no bigger honor than being part of creating a moment that girls have dreamed of their entire life. We pride ourselves on bringing the vision to life and creating the perfect beginning to the Fairy Tale Wedding. You have enough to worry about…let us do what we love and do so well!